Mindfulness is the focusing of your attention on emotions, thoughts, and sensations occurring in the present moment in an accepting and non-judgmental manner. Mindfulness can be achieved through trained meditational practices derived from Buddhism. Mindfulness can be nurtured through the practice of sitting meditation. In learning mindfulness meditation you will focus attention on your breathing or a single thought, as wandering thoughts come up, you will work to re-focus on your breathing or single thought. Typically beginners start with short periods of 10 minutes or so, as you practice regularly, it will become easier to keep your attention focused on breathing or a single thought. Eventually your awareness can extend beyond your breathe to your thoughts, feelings and actions. Mindfulness meditation is unique in that it is not directed toward getting us to be different from how we already are. Instead, it helps us become more aware of what is already true moment by moment. It allows us to be unconditionally present, helping us to be present with whatever is happening, no matter what it is. The Journal of American Medicine published a review study which found meditation to be just as effective in treating depression as medication. 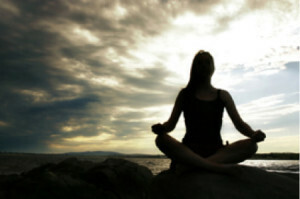 Meditation can be a complement to traditional medicine and psychological treatments and can help with a number of conditions including depression, anxiety, grief, headaches, chronic illness and pain, panic attacks, PTSD, fatigue, fibromyalgia, high blood pressure, and sleep problems according to the University of Massachusetts Medical School. Making meditation part of your life can lower your stress and anxiety levels, and create a greater level of personal connectedness. Over years of practice Dr. Dardashti has noticed extreme improvement in overall happiness and life satisfaction when clients learn to use mindfulness skills and/or meditation in their lives.